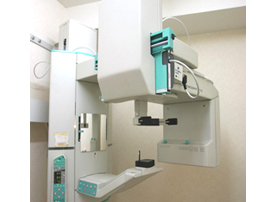 This is the treatment procedure of our clinic. STEP1-STEP3 are done on your first visit. Our Clinic has an appointment system. First, please fill in the Medical Questionnaires. 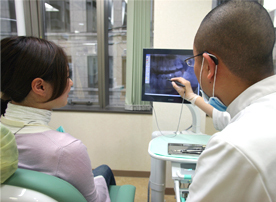 We examine your current oral state by Oral Exmination,X-ray Examination ,Taking Oral Photos ,Periodontal Examination,Taking an Impression for Study Model and other examinations if required. Based on the results of Step 2, We explain the present state of your mouth. 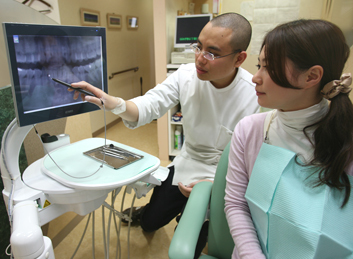 We explain a treatment policy, the dental treatment method, a treatment period,dental treatment fees, etc. 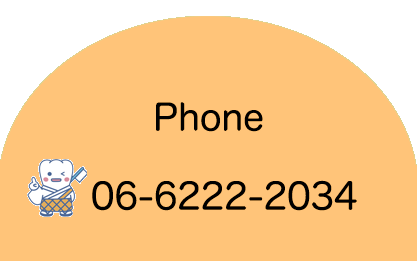 An emergency measure will be performed if required at the first visit. When there is no pain, hygienists clean your teeth first. And hygienists carry out and explain brushing instruction to you carefully. According to the explained treatment plan at the first visit, we perform decayed tooth treatment, root canal treatment and prothodontic treatment with manufactured crowns,inlays, bridges and dentures. Finally, we perform the re-check of any prosthesis and periodontal tissue. 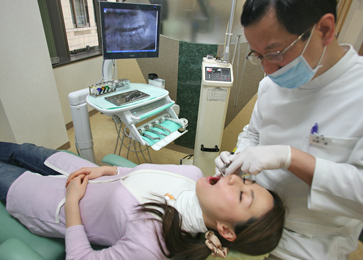 The maintenance after dental treatment is important in order to make teeth last longer. 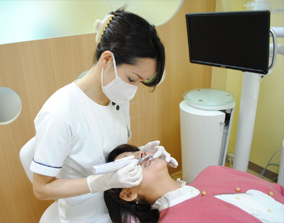 We recommend you re-visit our dental clinic for a re-check of dental treatment parts and the cleaning of your mouth.